Elegant, mobile shelving that simply rests against the wall of your favourite space. The contrasting black wax soaks into the Finnish pine grain to highlight the beauty between the summer and winter growth. 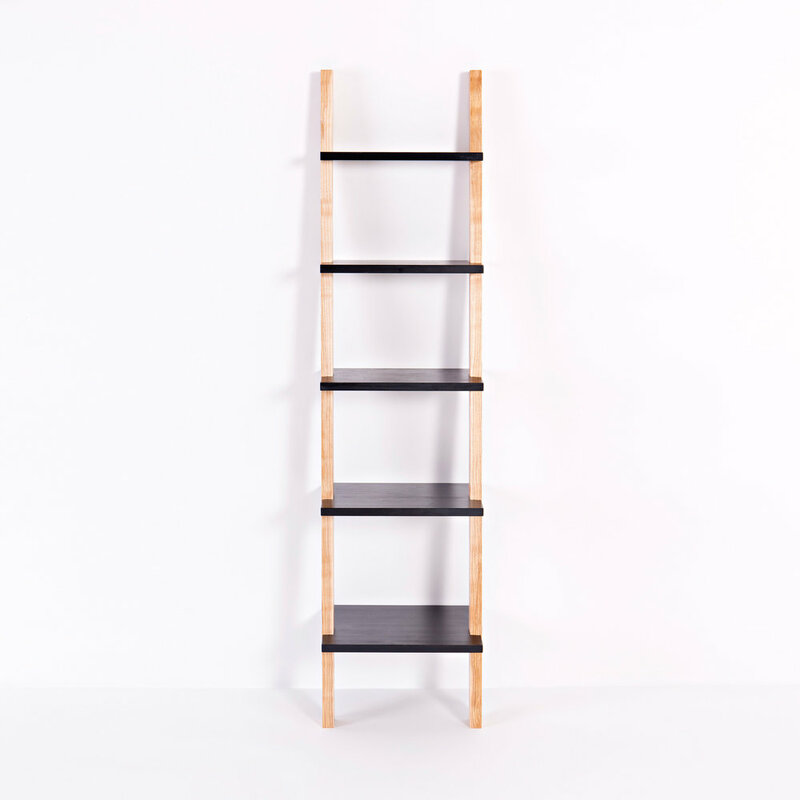 The shelving is handmade in beautiful wild Irish ash and black waxed Finnish pine. Then finished with a hardwearing, natural, hand rubbed oil. The wild Irish ash trees are sourced from Co. Wicklow and are either windblown or have reached their end of life and need to be taken down. They are unmanaged "wild" trees giving them a much more interesting character of grain, pattern and colours as they develop branches naturally and twist in the sun. The Finnish pine is also sustainably sourced. Dimensions: 142cm high by 35cm wide. Limited edition no. 1 now available.